Meera Shenoy is the Founder-Chairperson of Youth4Jobs, which focuses on helping companies build an inclusive workforce. This includes market linked skilling and placing in organized sector, youth with disability, women and scheduled caste. The current focus is youth with disability. Companies recruit from 20 training centres set up in 10 states. Y4J also offers a comprehensive solution to companies ranging from company sensitization to making HR policy inclusive. It works closely with a network of 200 companies like Google, Ford Motors, Axis Bank, HDFC, Valeo etc. Meera Shenoy was Executive Director of EGMM, India's first state skilling mission for rural and tribal youth, which she helped set up from scratch in 2004 for the Andhra Pradesh government and took it to scale. She supported the office of the Chairman, NSDA. She was also Senior Advisor, UNDP, Youth Skilling & Employment. She supported the World Bank poverty alleviation projects in South Asia for their youth component, for several years. 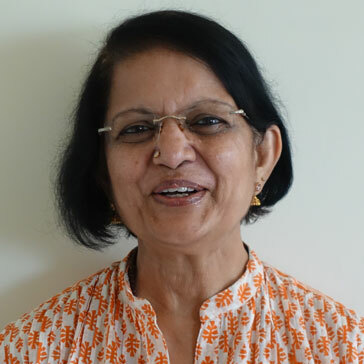 Meera Shenoy is on the Governing Council of the recently formed SCPwD (Sector council for Persons with disabilities) and the CII Committee on Special Abilities. She was one of the few Indians to be invited to speak at the prestigious TEDxBerkeley. She is the only person from India to be inducted in November 2015 into Happiness Hall of Fame, USA, which recognizes special people that have advanced the cause of happiness throughout the world. Her inspirational Book "You Can-Be Smarter & Wiser" was released in 2016 at the prestigious Jaipur Literary Festival (JLF), the world's largest literary festival.